Background: Hepatocellular carcinoma (HCC) represents one of the few cancers for which loco-regional treatments are recognised as being able to cure and/or prolong survival and are included in international guidelines. The treatment choice in patients with HCC is therefore driven not only by tumour staging, as in the great majority of cancers, but also by careful evaluation of liver function and physical status. 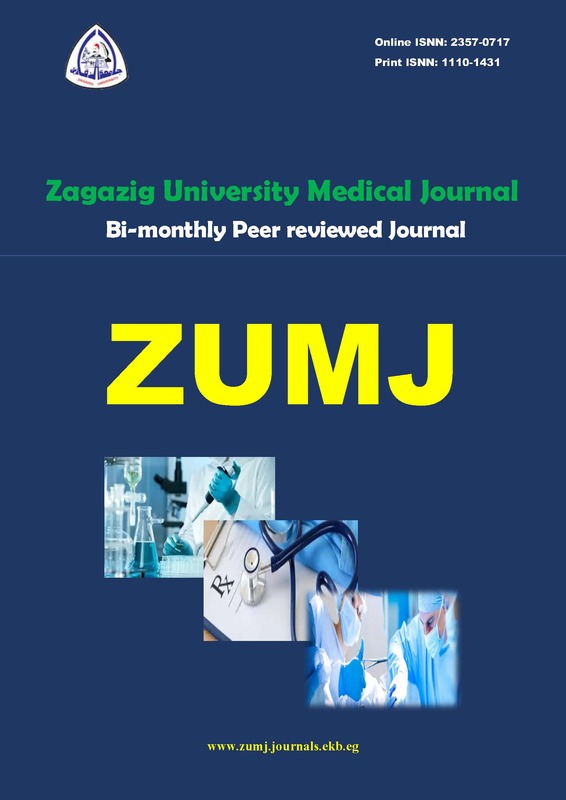 We aimed to evaluate the outcome of loco- regional treatment of hepatocellular carcinoma at Zagazig University. Methods: From June 2017 to December 2017, 30 patients with HCC who Patients’ candidate for loco-regional treatment according to BCLC were included that followed prospectively in this study. Results: There was a significant improvement after treatment as regard albumin,total, direct bilirubin, INR, AFP and focal size , and a significant successful of treatment by 70% of the cases. Positive HCV is a significant risk factor for treatment failure. Conclusions: Loco-regional treatments have a significant role in patients with HCC at all stages. Literature data support the use of image-guided ablation, primarily RFA, as the first-line treatment in patients with very early and early-stage HCC.